That's A Wrap! First Annual Main Line Fire Prevention Expo Is A Big Success. 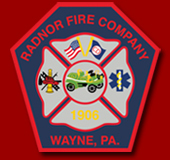 Our Message: The following news article on the Radnor Fire Company website has been recommended to you for review.